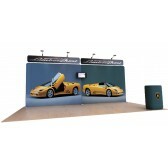 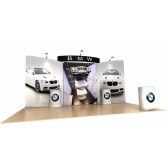 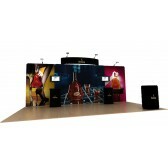 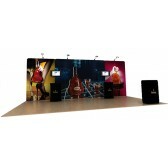 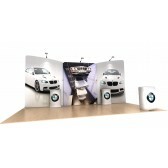 The Waveline 20' Media Display Kit J is a stylish backwall package that includes two large outer edge tension fabric towers along with 2 tension fabric murals in the center. 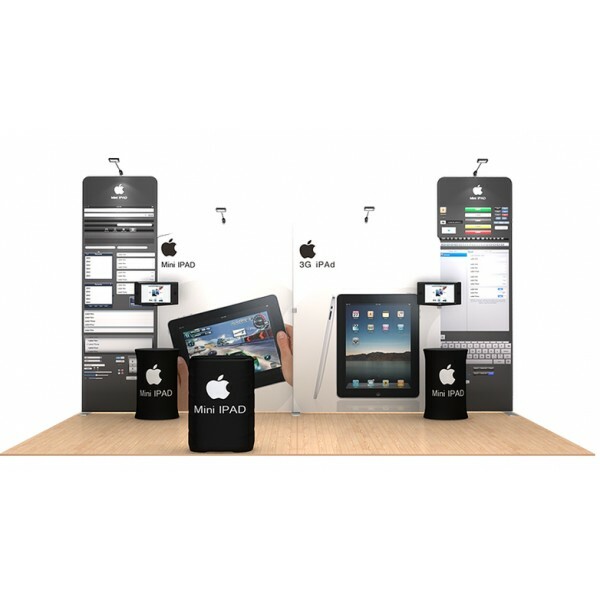 The Waveline hardware system includes durable aluminum tubing combined with wrinkle-resistant polyester graphics that create vibrant large format graphics. 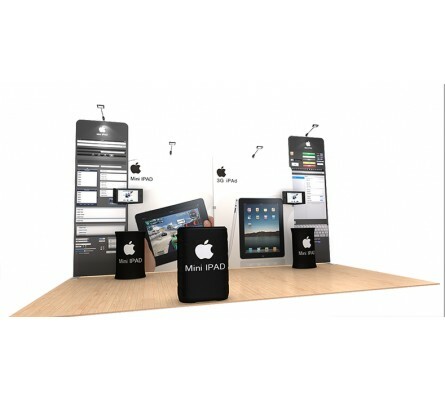 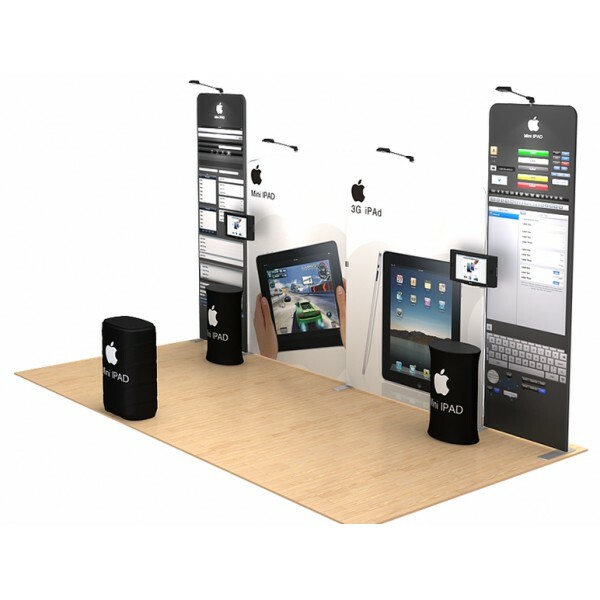 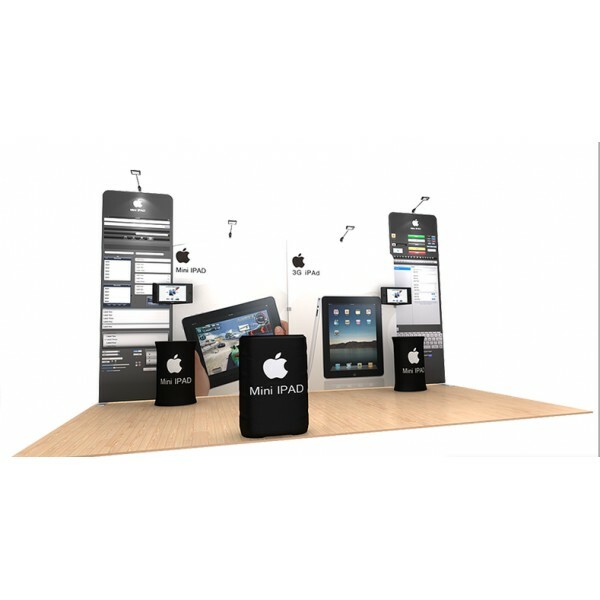 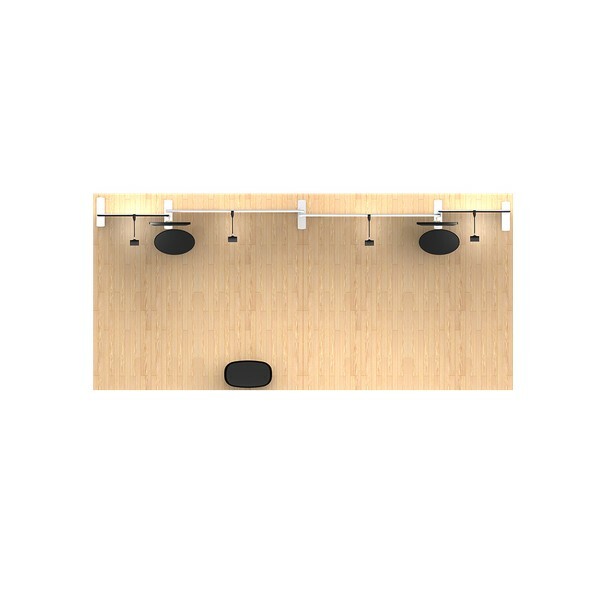 In addition to this displays portability, is can simply be reconfigured into a 10' Waveline Display or can be customized to fit a 20' x 20' island exhibit. 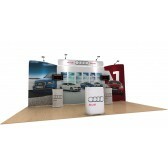 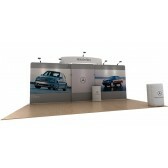 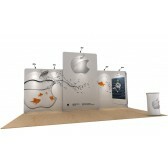 Add one of our haning sign options to attract attention form afar.